Belize Botanic Gardens is 45 acres of native and exotic plants growing in the Cayo district of western Belize. The garden is in a valley on the banks of the Macal River, surrounded by the Maya Mountain foothills. 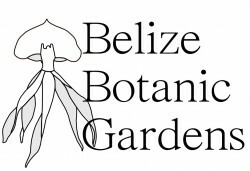 Since 2012, Belize Botanic Gardens has been offering local people classes in horticulture as part of its Professional Gardeners Training Programme (PGTP). The programme was set up in recognition of Belize’s growing tourism industry and need for gardeners in the private sector. The classes have provided new opportunities for the unemployed and also those members of the community who have had little or no formal education. The PGTP’s main aim is to train unemployed and underemployed men and women, of all ages, to provide them with landscape gardening skills. The programme has been delivering this through free, 10-week, horticulture courses that combine classroom theory and practical gardening. Courses were first advertised by flyers, newspaper advertisements and on local television and radio. Students came from all over the region, including individuals from women’s groups, youth groups and local villages. Since February 2015, the programme has been providing shorter courses, offered at a cost, for those who cannot make the 10-week commitment. The programme now also delivers training in plant and bird identification, as well as workshops on Maya healing, flower arrangement, soap-making and nutrition. Once students have completed a training course, they are awarded with a certificate and a job recommendation letter that commemorates their dedication and interest in the programme. 75% of the 112 students that have attended the training courses are now employed or self-employed. The programme has also helped address social issues by improving the quality of life of rural, poor communities, as well as older, previously unskilled and marginalised individuals. 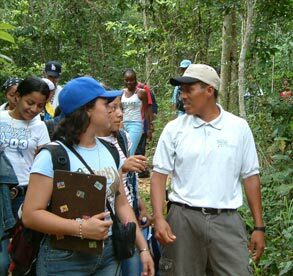 The programme has improved Belize Botanic Gardens’ reputation and helped increase its visitor numbers. Overall, there has been a greater appreciation for conservation and nature, and gardening is now perceived as a meaningful occupation. A mid-term evaluation has been completed and the Garden hopes to make the programme fully self-sustaining within the two years. Interest has come in from employers and potential students to offer the course to international participants, particularly those from other Caribbean gardens. Belize Botanic Gardens hopes to this in the near future.